Interested in becoming a weather observer? Click here! 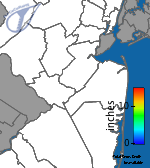 Total snow reports are taken between 5 AM and 9 AM and represent the total depth of snow (old and new) on the ground. Click on any of the following to view a larger regional map or here to return to the statewide map. Interested in participating in a fun and educational community-based project and learning more about how the weather affects our daily lives? Consider becoming a volunteer observer for NJ CoCoRaHS! Click here to learn more. 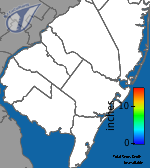 CoCoRaHS — an acronym for the Community Collaborative Rain, Hail, and Snow Network — began in New Jersey on Groundhog Day (February 2nd), 2008. The CoCoRaHS network of volunteer weather observers has rapidly expanded to include over 14,000 active observers in all 50 states. Through the use of low-cost measurement tools and by emphasizing training, CoCoRaHS volunteers take accurate daily observations of precipitation and snow cover. These measurements are then entered onto a web form, sent to a central archive, and displayed through the CoCoRaHS website for timely use by end users such as meteorologists, hydrologists, farmers, water resource managers, and the general public. All that's required to be a CoCoRaHS participant is the desire to watch and report weather conditions, access to an internet-connected computer, and the appropriate measurement tools (a 4" diameter plastic rain gauge and a ruler). For more information on CoCoRaHS, please visit their website here. 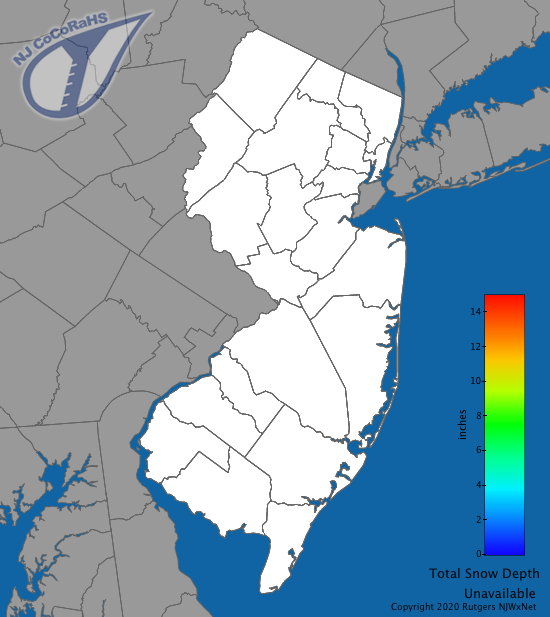 Our NJ CoCoRaHS page provides more information on how to sign up, obtain the necessary measurement tools, and receive training. We look forward to welcoming you to the CoCoRaHS network in NJ!